Stanley Nelson‘s Firelight Media partnered with the Advancement Project in videotaping real people who stood up for their right to vote. Tuesday, November 6 is the last and official day to vote in the U.S. for the 2012 election. Best to take no fewer than two id’s including one with a photo (check state rules on the link above). Anticipate a wait. Bring comfort supplies. Ignore obnoxious poll watchers. Report obnoxious poll watchers or any other harrassment at the polls. The presidential election has been a cash cow for commercial media outlets, polling firms, and pundits. But why am I hearing two narratives in the Republican camp: If Romney wins; If he loses. Has the Obama camp put a gag order on the “L” word? Or is it really that close? New voter ID laws in Pennsylvania and other states are intended to have a political impact on the upcoming elections by removing registered voters who can swing the results in a certain direction.The voter ID requirement comes at a time when there has been no real threat or serious evidence of voter fraud. There are costs involved in obtaining the proper ID (if you can) starting with a birth certificate. The National Council of State Legislatures has a map illustrating voting requirements by state and color coded on the basis of strict photo id, non-photo id, no id, and no vo voter ID law. Note, Texas passed a strict voter ID law in 2011, but it has been blocked by the Department of Justice. Of course, the block has been interpreted by lawmakers in Texas as a way of giving the sitting President an unfair advantage. The assumption that the more people vote the more they will vote a certain way; or the more certain people vote, the more certain of the outcome? That should not shock anyone who is aware that Walker is likely to face a recall election in the wake of nine state Senators facing recalls this summer after enacting a law revoking the rights of public workers to collectively bargain with the state government. Do Media Outlets Control the Election Outcome? I had to rip this one off from the front page of E-Notes in its entirety. He probably posted it after my little anxiety email I slipped in his mailbox yesterday evening. This analysis of news media “calls” on elections was conducted by Black Box Voting.org, the group run by Bev Harris based in Washington state. [There is a Black Box Voting.com site which is also interesting, but apparently wants to be clear that they are a distinct entity from Bev Harris’s non-partisan non-profit.] Bev Harris is the investigative journalist who exposed security weaknesses in the voting machines manufactured by Diebold Election Systems (which now operates under the name Premier Election Systems). Her 2003 report detailed how elections could be manipulated on the voting machines by bypassing passwords. This led to investigations and confirmations of her findings. She’s also stirred up some scuffles between herself and other voting activists. But regardless of the personality angle, I thought this was worth the read. For 10 years, I’ve been watching a trend to manipulate elections through premature “call” of the race by a media outlet. See below for predictions on what may follow a media call for either candidate in Massachusetts. The media “call” can be manipulated because the public doesn’t know that projected winners come from a system that is not even a governmental source! In fact, the media “calls” elections based on data from just one media outlet — usually a quiet little division of the Associated Press that occupies a little corner somewhere and answers very few questions. Volunteers call in result reports to the corporation. The reports are often inaccurate (see below for examples). The names of these volunteers are not part of the public record. We will never get the list of names for those who will call in the 351 numbers which will result in “calling the election” for Tuesday’s Massachusetts election. If Tuesday’s Massachusetts special senate election is “called” for Democrat Martha Coakley, expect to see a rush to install her, copying a Republican tactic in 2006 whereby San Diego’s Brian Bilbray was seated by the US House of Representatives before tens of thousands of votes were even counted. Yes, the Senate can override the actual election results, or pre-empt the real results, and pre-emptively install a candidate based on a media prediction, or a bunch of unofficial tallies, or whatever they want. It can be done. It has been done. And if the media calls the race for Coakley, expect to see it done again. If the race is “called” for Republican Scott Brown, expect to see a rush from Republican lawyers to claim that Brown has the right to vote immediately, instead of Paul Kirk who is current interim successor to Ted Kennedy. If that fails, look for an attempt to force abstention on the Massachusetts vote while stall tactics play out. Sixty votes are needed. If Coakley is called and installed, they’ve got the 60. If Brown is called and stalled, they’ve got 59. Either way, the media “call” on Massachusetts is going to be under exceptional political pressure. No matter where you stand on the controversial healthcare bill, be aware that what you see reported on Election Night is not only not “official” or “final”, but is not even real, and may not even be the numbers written down by poll workers or printed out by the voting machine. In the recent controversial NY-23 race, volunteers in multiple wards called in zeroes instead of votes for Conservative candidate Doug Hoffman. There WERE votes, but they called in zero and later said oops. This was not a plausible oops, because the zeroes were not called in randomly for various races, nor did the zeroes spread themselves among different candidates. Doug Hoffman had false zeroes reported while votes were called in for the others. 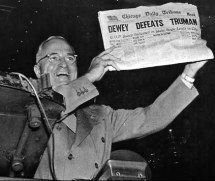 Incorrect figures provided to the media resulted in a margin which appeared thousands of votes larger than it actually was, goading Hoffman to concede prematurely. In the Florida 2000 presidential election, impossible numbers were provided to the media producing exactly the margin needed to “call” the race for George W. Bush. Minus 16,000 votes were reported for Al Gore, and (not knowing the margin was false), Gore conceded privately to Bush and nearly conceded to the nation. In New York City’s 2008 presidential primary, more than 50 wards falsely reported “zero” votes for Obama (but not for Hillary), creating a superficially low result on Election Night. In Maine’s 2009 election, the media reported called-in results for Lewiston and Augusta, two of Maine’s largest cities, for seven ballot questions each with two possible choices (7×2=14 results per city), a total of 28 vote results for the two cities. Not a single one of the 28 results was correct, and eight were off by large margins. In New England, even preliminary governmental results from each municipality are not compiled for a day or so. Results are typically sent by courier or brought by the police to the secretary of state. The results you see on the news are therefore not government results at all, but results generated by unnamed volunteers (or sometimes paid part timers) working for a corporation. The media “call game” is a political game that can be played dirty, and in Massachusetts, the media “call” could ultimately control national healthcare policy. Usually, these premature calls can be unraveled if they are incorrect because elections aren’t certified for several days and winning candidates aren’t installed into office for a month or more. But in Massachusetts, because of the special situation with an imminent vote on a controversial bill combined with a temporary senator, the media call can create an undemocratic mess. When the media calls an election based on non-governmental verbal information from unnamed volunteers, it displaces legitimate election procedures. Media volunteers can — and HAVE — issued false numbers in order to get the media to call an election for a candidate. The US Congress can — and HAS — installed new voting members of congress before the votes are counted or the contest is determined. If a media outlet calls the Massachusetts race based on verbal reports from names that are never disclosed, we need to call this what it is: Journalistic malpractice, and a danger to democracy. If what you see Tuesday night ain’t right, be prepared to speak up. Or shout loudly. It’s our duty. Yesterday Barack Obama’s grandmother, Madelyn Dunham, died peacefully in her sleep in her home in Hawaii. Mrs. Dunham was 86 years old. She did cast an absentee ballot before her death and it will be counted in Hawaii. [You go girl!] She joins the ancestors to guide Barack and the rest of us through the hours and days ahead. The Eclectique Citizen is on the road today in the home of my ancestors–northern Virginia–helping voters get to the polls. Being that my family goes back 6+ generations in Virginia (my maternal to the Revolutionary War; my paternal before Jamestown), I’m Fired Up! and Ready to Go! 90,000 turned out to hear Barack in Manassas last night. So it’s on us now. VOTE y’all! VOTE! FIRED UP! READY TO GO! Remember, the Eclectique Citizen is LIVE BLOGGING tonight from Busboys and Poets in Washington, DC.